'BODEDEREK: Cruising With An African Queen! Cruising With An African Queen! I was in Royal company last Saturday night. In the same car as Salawa Abeni on her way to a gig! Queen Salawa permitted me to ride in her car after making sure I was aware of Yoruba traditions and protocols. She was very gracious indeed. So, there I was, cruising down the North Circular road, shoulder to shoulder with a Celebrity Singer. A Child Star and now a Queen. I felt privileged and lucky that I happened in the right place at the right time, not only to meet a woman of immense talent and culture, but to be actually in the same car with an actual African Queen. Queen Salawa Abeni was kind, dignified and courteous throughout the journey. I was pleasantly surprised that we had a lot in common. My love of music and African culture has made me aware of Salawa's career from when she was a little girl and a star on the Nigerian music scene so many years ago. A massive star in Nigeria, she has entertained fans worldwide. Has performed for the rich and powerful both in Nigeria and abroad. Her powerful voice and vocal range is quite impressive, tailor made for her repertoire. 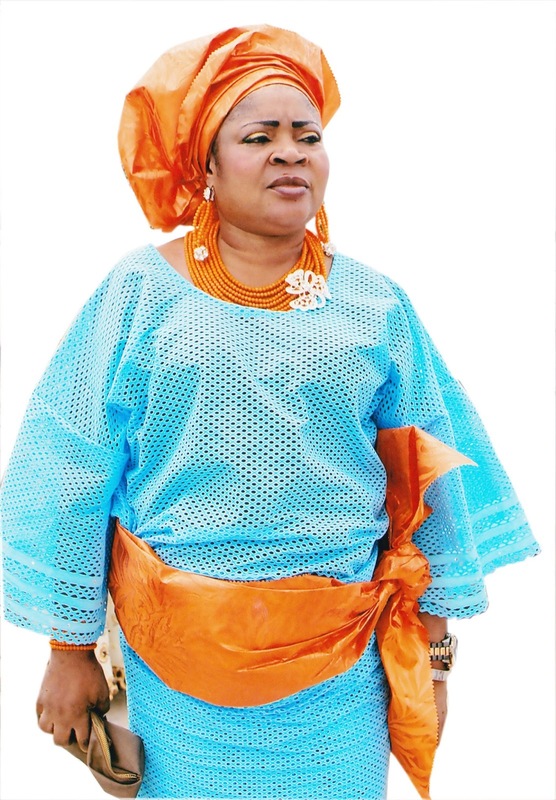 She will be performing with the Yoruba Women's Choir next month at London's South-Bank Centre.